Computer Support Professionals is an Information Technology Managed Service provider company in Australia. Our proven team has worked with clients across a broad industry spectrum including small & medium enterprises, health services, educational institutes and hospitality sector among’st others. 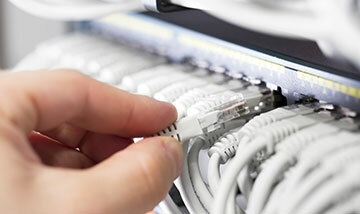 We have a diligent team to meet everyone’s IT needs with quality service and extremely competitive rates. Our mission is to improve our client’s organisational processes and increase functionality through bespoke and state of the art technical solutions. Our services can afford endless possibilities to achieve higher control and quality standards that contribute directly to the growth and success of our clients. Flair, ingenuity and devotion of our people is the key to our efforts and determination in serving our client needs. Every computer problem has sign-posts to warn you there is an issue. But if you don’t know what to look for, you won’t know what’s about to happen. By remotely monitoring your computer systems, we’re able to pick up those subtle symptoms to prevent problems occurring. For businesses that operate beyond 9-5, we offer 24 hour support, 7 days a week. It’s not an added extra – it’s what we do for all clients on our Managed Services Plan! It’s like having your own Helpdesk – but at a fraction of the cost. Imagine having someone to turn to whenever you have a tricky technology problem. Our clients receive unlimited support for their whole team. So even if the problem is small (e.g. an Excel formula isn’t working) we are on hand 24/7. Recommend and provide the right security measures for your website and computer system to avoid ransomware and hacking. In fact, we are a proud Partner of Stay Smart Online so you can be sure all of our solutions comply with Stay Smart Online requirements. We can supervise your existing suppliers or smoothly manage the transition to our knowledgeable team of experts. When it’s time to upgrade your technology, we will analyse your requirements and recommend the best options for your business and your budget. OUR EXPERTISE HAS NO LIMITS! 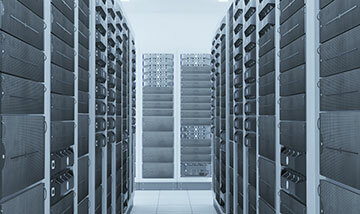 Our team includes highly experienced, certified IT engineers. That means our engineers have passed extensive vendor certifications to achieve superior knowledge across a range of systems and products. Our team have expertise across multiple platforms such as Microsoft, Cisco, Linux and Mac. In fact we are Microsoft Gold Service Certified Partners. So when you choose Computer Professional Services, you’ll benefit from a wide range of expertise to provide advice and troubleshooting for all the IT challenges your business might face. Every business has information they don’t want to share with employees. But if you employ an internal IT consultant, they will have access to all of your files, accounts, emails etc. Is that what you want? Many of our clients like the security of knowing their staff can’t access confidential business information. Our team of IT engineers understand the importance of security and privacy so you’ll know your information is in safe hands. We stand by our word so if we give you a fixed price for the purchase or installation of new hardware or software, we mean it. There are no hidden extras. We deliver what we promise at the price we say. Every business is different so we won’t try to slot you into a predetermined program. We’d rather analyse your needs to develop a carefully considered support package that delivers what you need at a price to suit your budget. WOULD YOU LIKE THE SECURITY OF KNOWING HELP IS JUST A PHONE CALL AWAY?